Capital O Antarim Express is located just a short ride from Gujarat's famous Sabarmati River. Guests can stroll down the Sabarmati Riverfront Walkway and enjoy the various family and fun activities there. Easily accessible from the Sabarmati Junction railway station, Capital O Antarim Express also has parking facility for guests travelling with their vehicles. 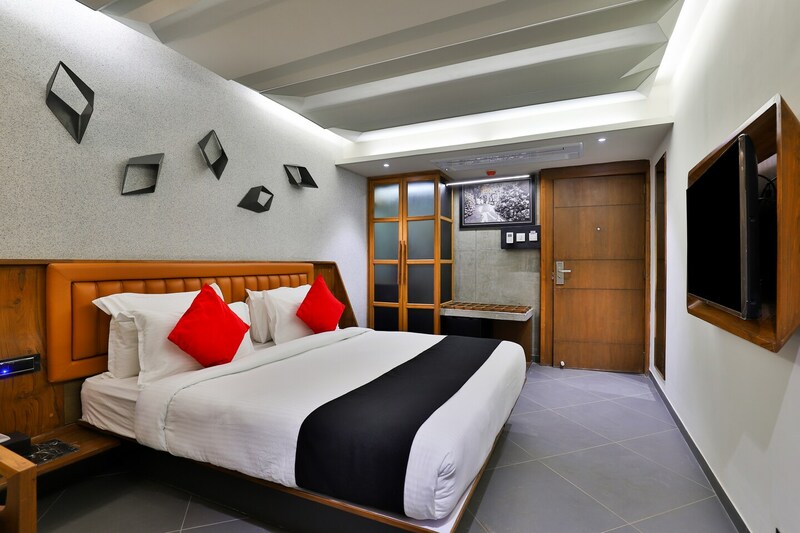 The rooms are spacious, well-decorated with basic amenities. You can avail free Wi-Fi and laundry services too. The place has an in-house restaurant with plenty of choices and a dining area to cater to your gastronomical needs. Jhulta Minara Sidi Bashir Mosque, Dada Harir Vav, Teen Darwaza and other historical places of interest are just short rides away.